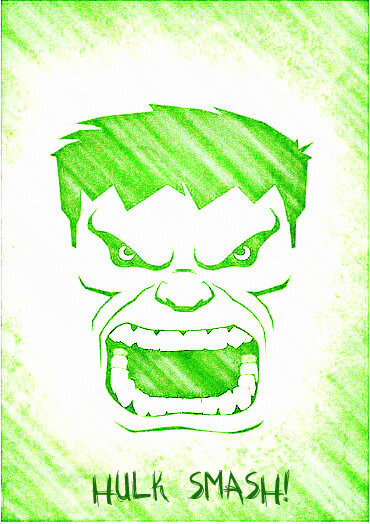 Home Craft Tutorials	A SMASHING DIY Incredible Hulk Birthday Party! 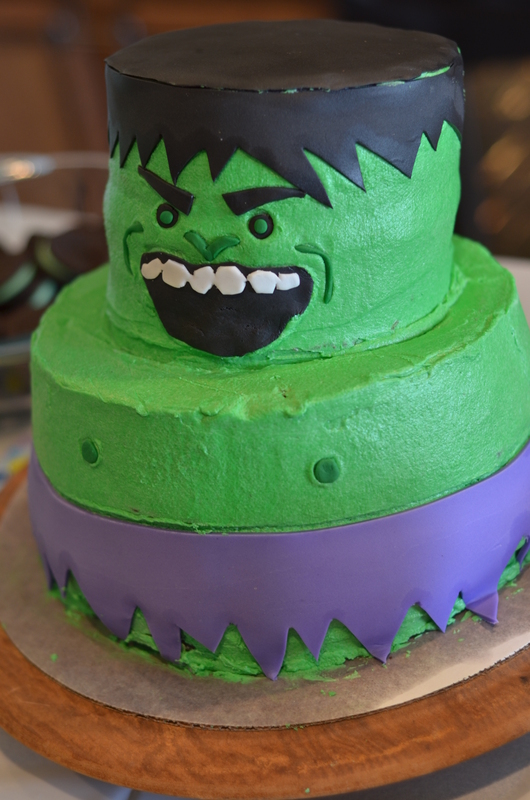 A SMASHING DIY Incredible Hulk Birthday Party! Hey everyone! It was my son’s 5th birthday last week. I can’t believe he is already 5!! I feel so old. Anyway, since he is now old enough to appreciate a real birthday party and has friends who’d come, I decided to throw him one. He wanted a HULK themed party since he has been obsessed with the Incredible Hulk since his daddy took him to see “Avengers” a couple of weeks ago. 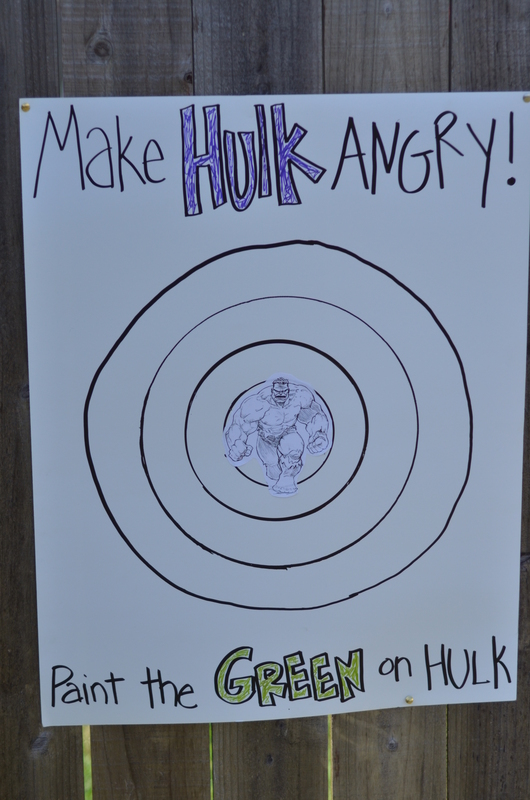 Surprisingly, theres not much out there for Hulk birthday parties. It seems they have every other super hero except for the big green guy. 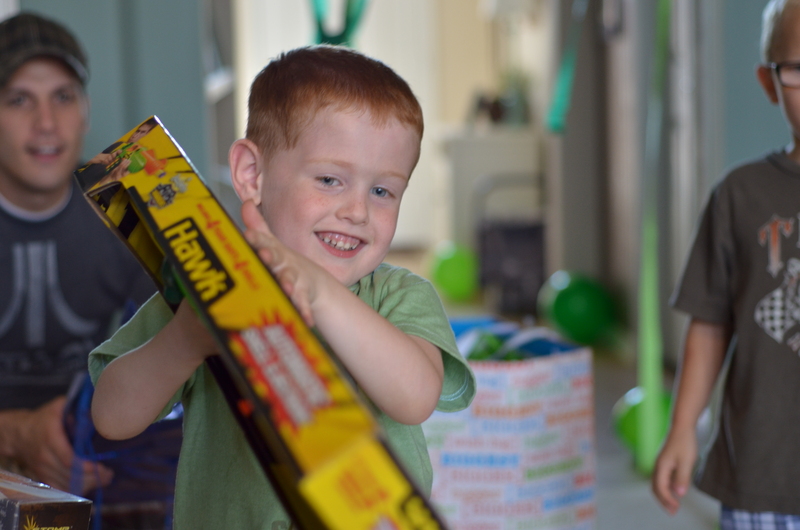 So, without wanting to disappoint my big guy I was led to DIY’ing most of the party supplies, games, and favors. SO. 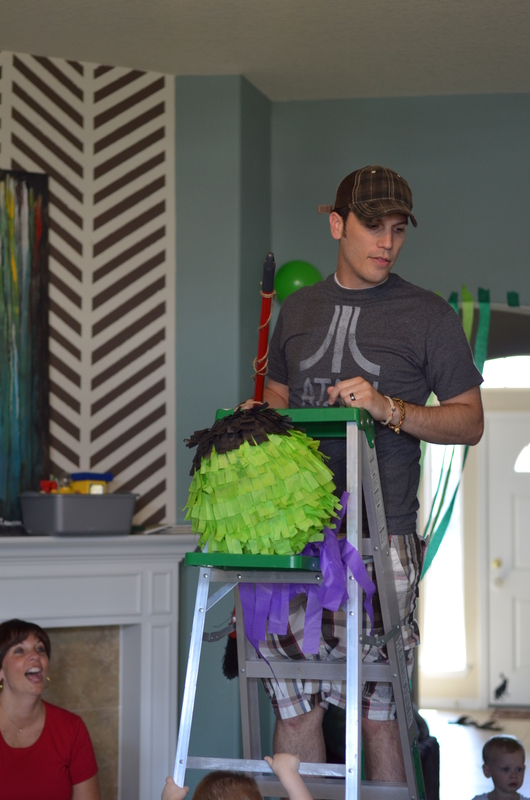 I’ll fill you in on how my DIY Incredible Hulk birthday party came together in case you have a little one who loves the Hulk too. I used ipiccy.com to edit it into this image (below) that I used as the front of the invitation. 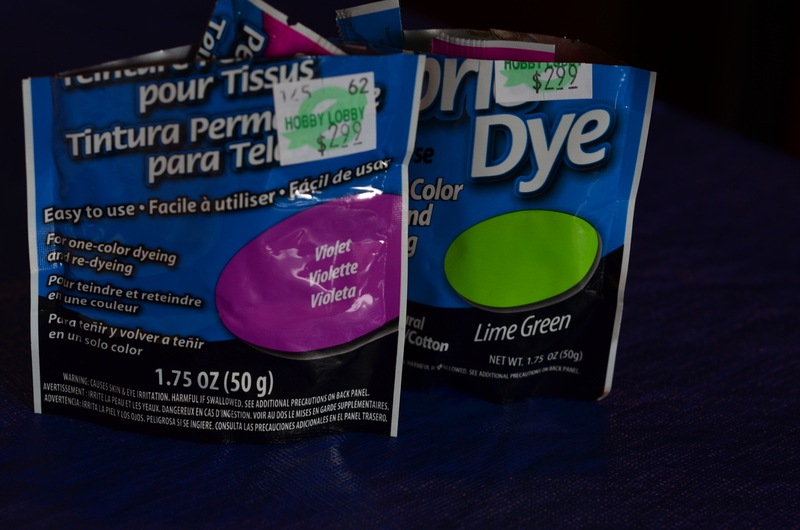 I bought a bunch of white t-shirts from Hobby Lobby for 30% off (which made them about $2.50 each) along with Tulip fabric dye packs in green and purple. I wanted a vintagey feel to the shirts which is why I bought white shirts and dyed them instead of just buying the vivid green and purple shirts. Then I printed out the above picture and traced it onto freezer paper and cut it out with an exacto knife. For a great freezer paper stencil tutorial see Stay-at-Home-Artist. I found that I could stack up to 4 sheets of freezer paper and create 4 stencils at a time which really saved me tons of time and effort. 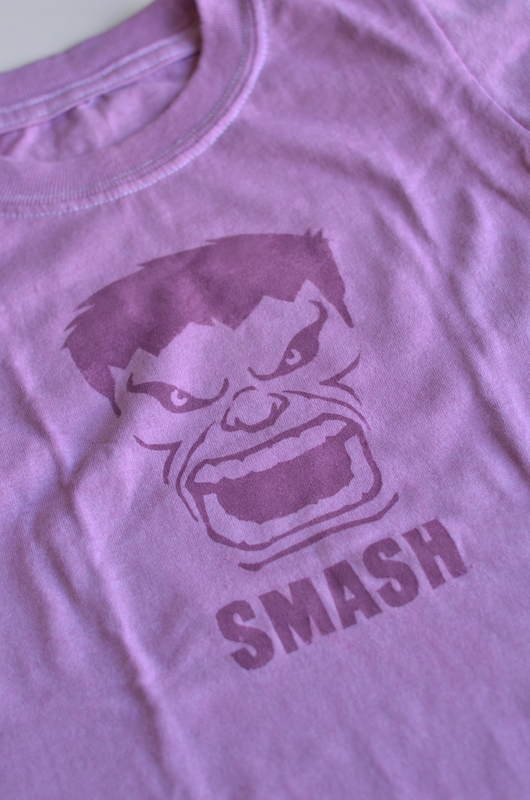 If you happen to have a dye cut machine with a program that allows you to cut out custom designs that would work too. 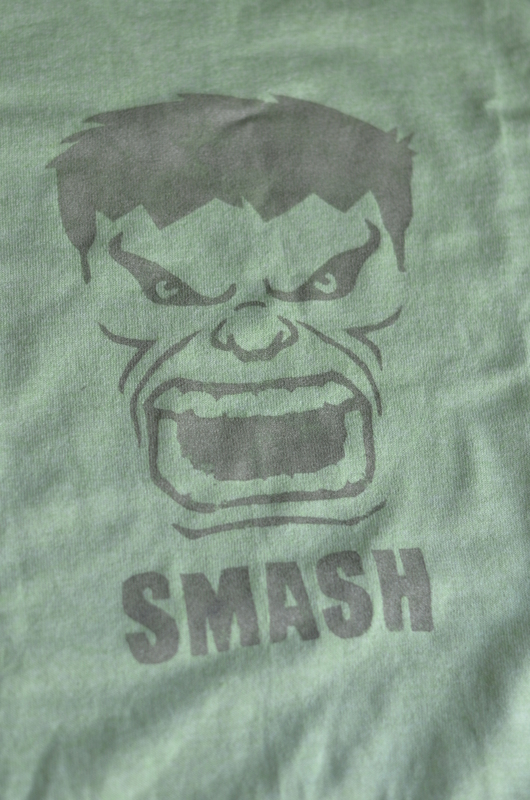 I then used a foam craft brush and corresponding green and purple fabric paint that was only a couple shades darker than the t-shirts to paint on the Hulk. By dabbing the paint on with a foam brush instead of using a paint brush I got a more faded, worn, vintage feel. Just like I wanted. I was pretty happy about it actually. My hubby wants me to make him one now too. 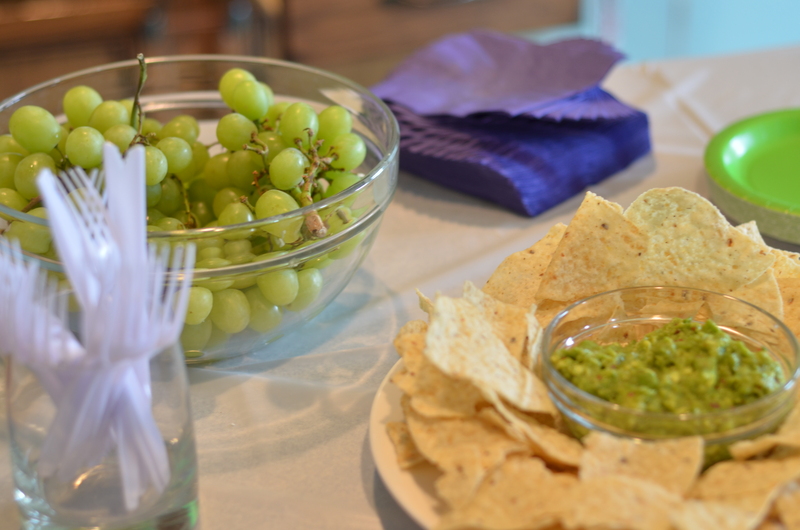 :) The green shirts went to the boys and the purple shirts went to the girls as party favors. All together it cost me about $3.50 or so a shirt. Peyton (my son) REALLY wanted a pinata for his party and I looked and looked in the stores for one to no avail. So we decided to make our own out of balloons, newspaper, paper mache, tissue paper, and construction paper. I found the tissue paper and balloons at Hobby Lobby and had plenty of newspaper and construction paper at home already. 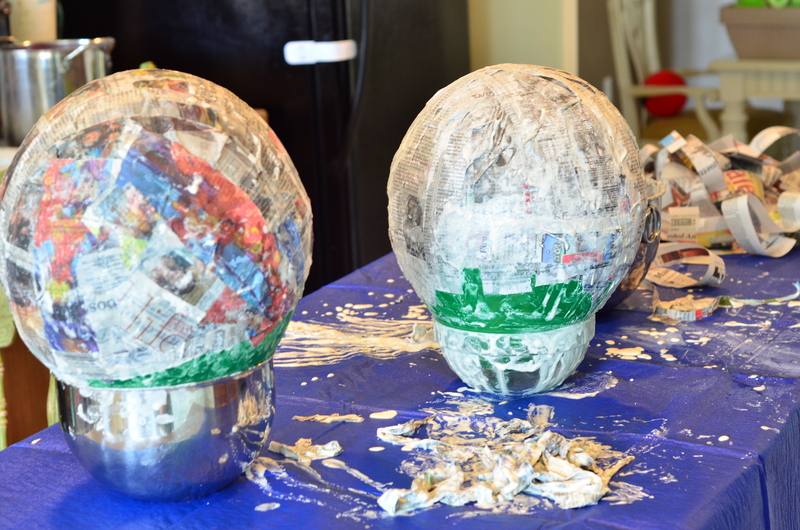 Peyton and I mixed the paper mache (lots of flour and water mixed together until all the lumps are out and you’ve reached the consistency of your choice), and we paper mached the balloons until they were covered halfway down with a substantial layer of soggy newspaper. 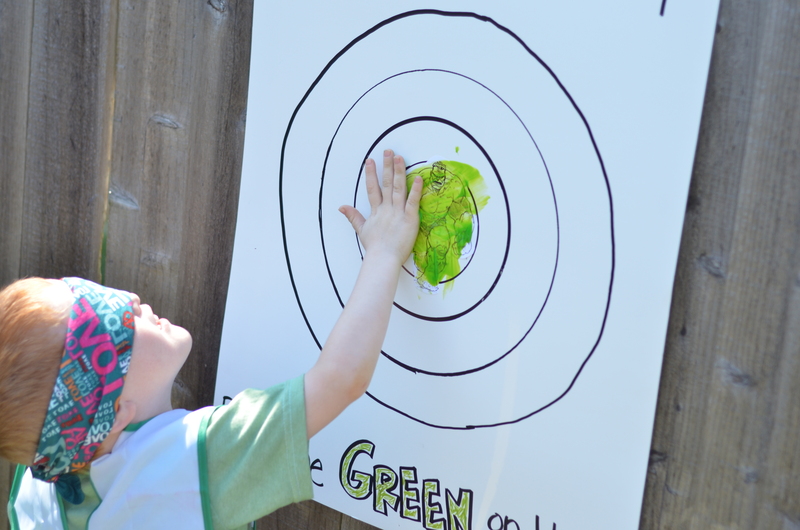 For a better tutorial on how to paper mache a pinata Crafting a Green World has one that goes through the process step-by-step. I put them outside to dry and OOPS! The heat popped the balloons and I didn’t know it. SO, I went outside eventually to check on the progress and there was my paper mache, slumped over in a heap like melted bowls. BUMMER. 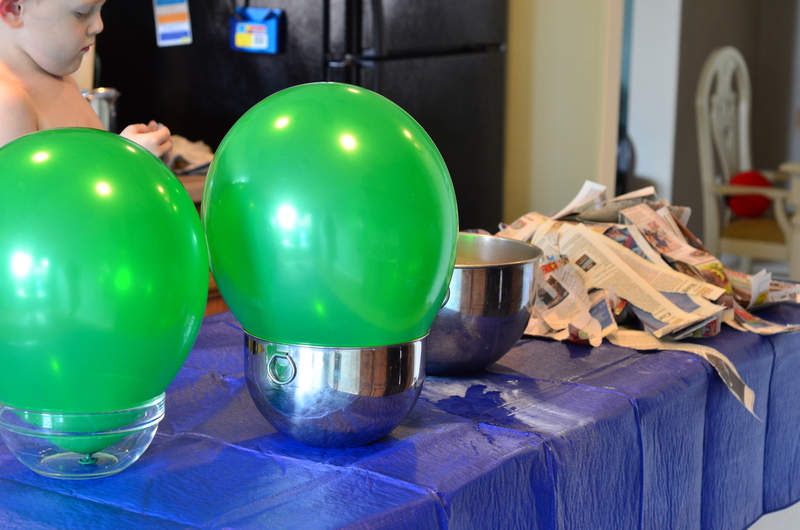 I didn’t want to redo the whole thing (I had JUST finished cleaning up the mess in the kitchen) so I blew up two more balloons and forced them back into their original shape. They dried (indoors) a little skiwompus but I figured that would be concealed once I put the tissue paper on. I cut them down with kitchen shears to form 2 bowls and then duck taped them together (after filling them with candy of course). Then I cut up my tissue paper into tasseled strips and glue it on. I made the face with construction paper. I made my butter cream frosting too soft so you can see where the fondant started to slide. And then the back of the bottom cake gave out so the whole guy is tilting a bit. Haha!! So funny. Oh well. 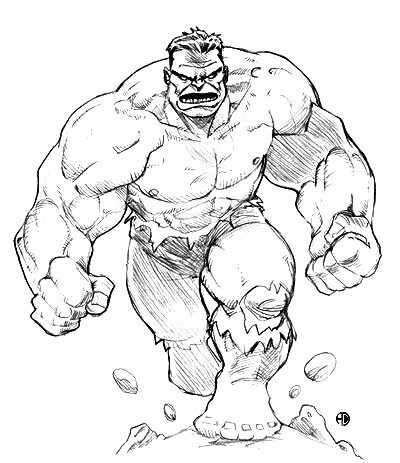 I printed off a bunch of Hulk coloring pages for the kids to color while they waited for the others to arrive. Again this is a Google Images pic I found and is not meant to be for commercial use. 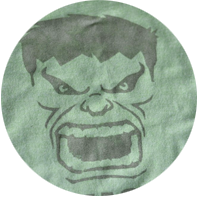 I also used this image to make a “Make the Hulk ANGRY!” game which is basically my version of pin the tail on the donkey. 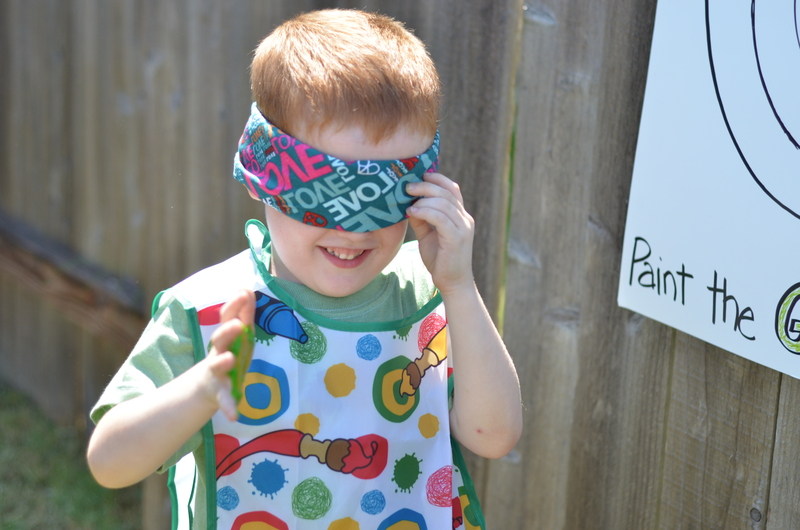 The kids were blindfolded and then had there hands stuck in green finger paint and then had to go “turn HULK green”. 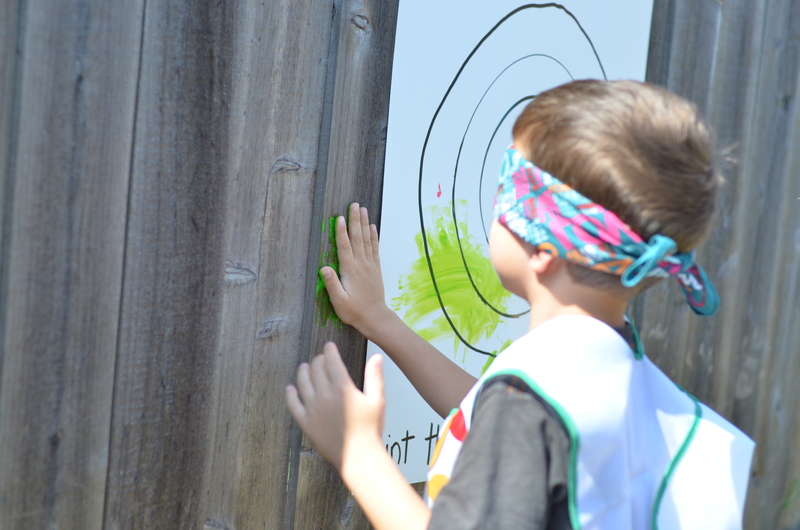 They loved it…but, I quickly realized I should’ve made the poster LARGER as most of them painted the fence instead! Luckily I chose washable paint! I tried to make all the party snacks green. 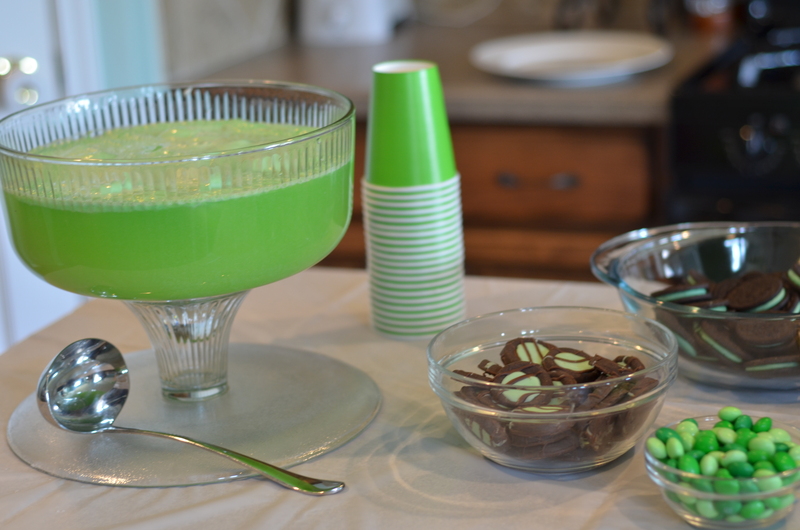 I had mint oreos, mint m&m’s, chips and guacamole, green grapes, green jello jigglers, green coolwhip cookies, and green punch that I made with green Hawaiian Punch, Sprite, and lime sherbet. I also tried to make a conscious effort to be sure that all the food was kid friendly and didn’t require utensils (except for the cake). Instead of feeding them at the table (they wouldn’t all fit anyway) I taped a couple of plastic table cloths to the floor and let them eat there picnic style. During the party we also had Hulk cartoons off of Netflix running. 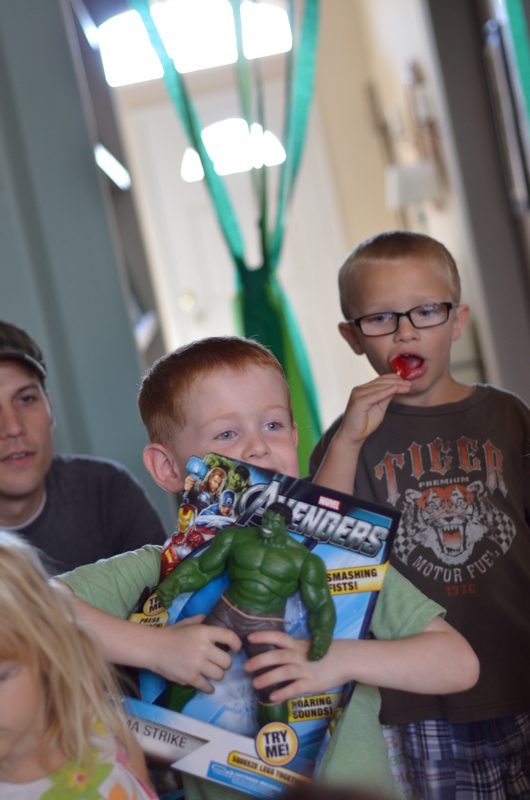 I think everyone had a great time and best of all Peyton LOVED his Hulk themed party. He told me thank you and that I was “the best mom ever!”. Haha!! I’ll take it! This is awesome, thank you so much for this. 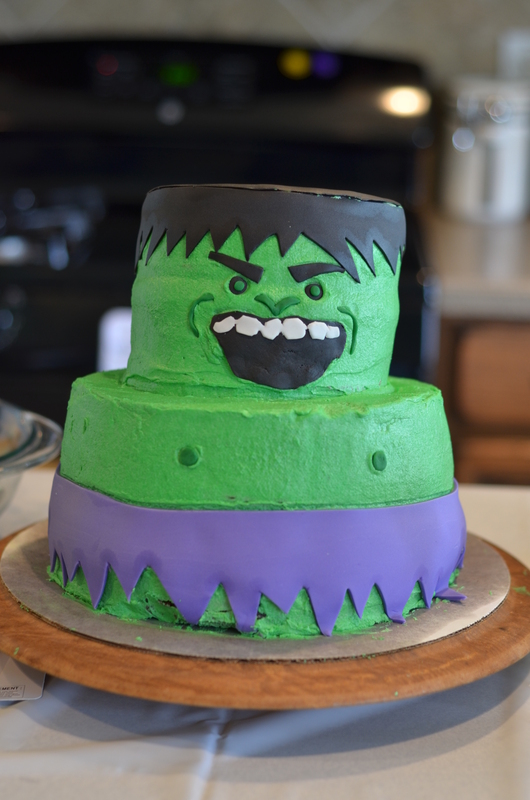 My 3 year old has a birthday coming up and wants a Hulk themed party too. Great job! What are cool whip cookies? They sound good. Would love to make some for our Avengers party next week! Hey Cate, that looked like an amazing party so well organised by you. 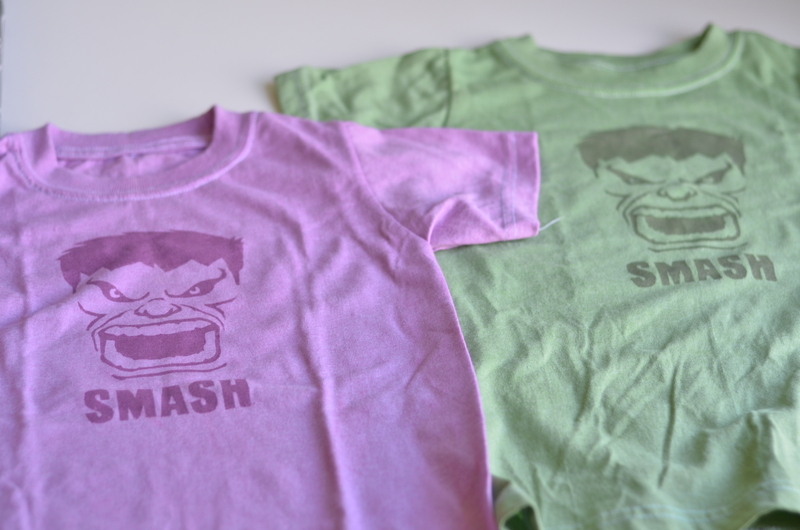 really liked your ideas a lot and gonna use these in my son’s Hulk B’day party next month. Thanks Shilpa! It was fun. Good luck with yours! Seriously. This is the coolest thing ever! You’re kid is beyond lucky! The piñata looks amazing! How many layers did you use to make the base? My son is turning 5 and wants a hulk piñata too. I used 2 layers of paper mache which was more than enough. This sucker was TOUGH to crack! Thanks so much for writing this blog!! I have had so much trouble trying to find Hulk items for a party, so I decided to make everything myself! 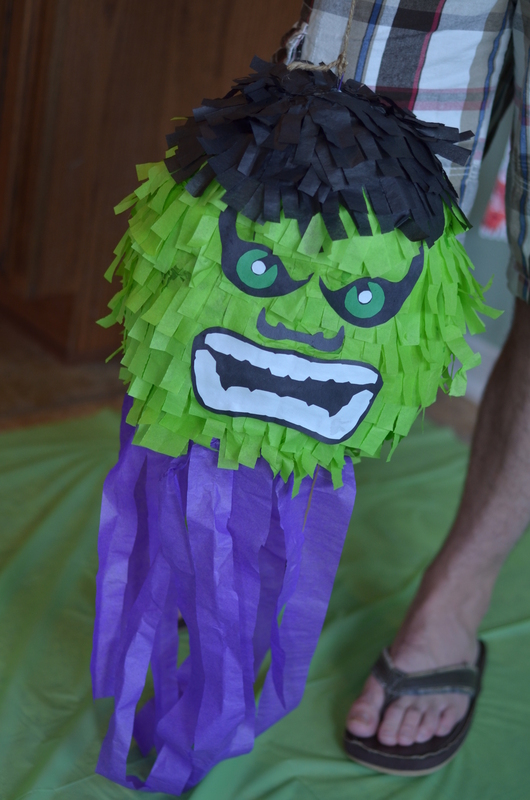 I made a similar piñata, and I will be using your ‘Paint the green on Hulk’ game as well! Great ideas! 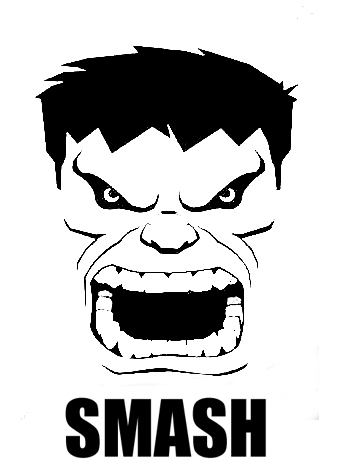 So, my son’s b-day is next month and I am also doing a Hulk themed party. I want to make some shirts kinda like what you did, but I have a few questions…. Did you dye the shirts first before putting the transfer on? And then was the transfer, did you iron it on or what? I saw where you said you painted… Was that meaning the image? and if so, why exactly did you need the freezer paper? I thank you for your ideas and help. That really gave me something to go by. 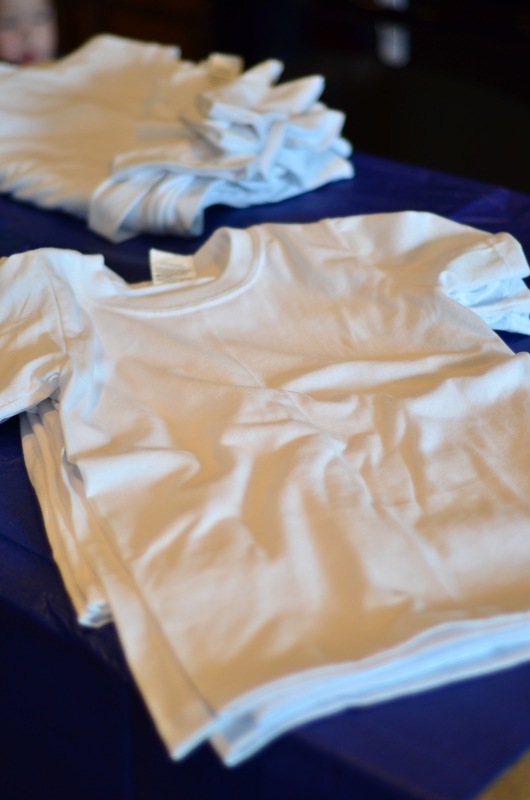 Yes, I dyed the shirts prior to painting the images on them. The image was made using a freezer paper stencil I made (meaning I drew the image onto a sheet of freezer paper, cut it out with an exacto knife, ironed the stencil shiny side down onto the shirt, then painted with fabric paint over the stencil using a foam craft brush). I hope that helps! Thanks for putting up these fun ideas! I would love to use some of those for my sons 7th bday party in couple weeks time! He as even Hulk obsessed since he was 2! My son also wants a Hulk party. 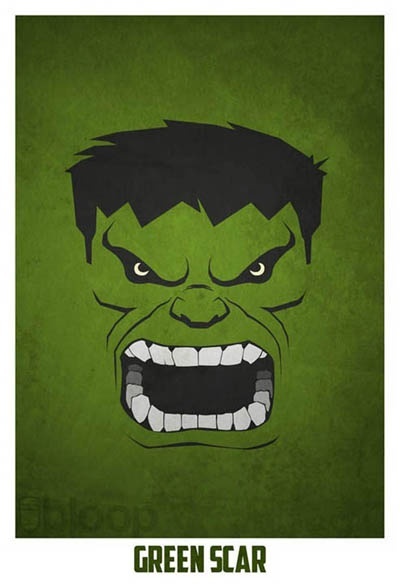 I love your idea of the make hulk angry! I will also be doing the shirts but I think I am going to make tons of stencils and let the kids paint them on the shirts. My son is 4 but loves art stuff so those two ideas are awesome! Thanks for posting! PS: I too make my own cakes and am by no means professional. There is always some sort of “disaster” but the kids still love it. And honestly the design of your cake looks better. Great post! Thanks for doing it. I am working on the shirts because they look awesome. You posted a picture of the lime green dye but you said it was just green. I dyed using the lime green and they don’t look half as good as yours. Any chance you could be more specific on the process you used to dye (e.g. Colors or color combinations) and the color for the paint? Thanks so much. My some and I will be very grateful!!! Hey cate, u r. Perfect mom I’m sure for ur kids, i became ur fan after watching ur videos on paintings but dint know u r an all rounder, thanx a lot for all ur videos n ideas, this theme party on hulk was superb , u rock, wish u were in Colorado , I wud have taken paintings classes personally , keep up with d great work!!!! U r truly an inspiration for many!!!! I am interested in making the shirts. How does lime green give them the rustic look? After washing them? That is just how the dye took to the shirts. And then I sponged on the paint so that it would give it a vintage vibe.